In November 2003, on the eve of the 70th anniversary of the 1932-1933 Holodomor in Ukraine, the distinguished scholar James Mace proposed lighting candles in tribute to the memory of the victims of this horrible tragedy. Two years later the nation’s leadership supported this proposal, first publicized in The Day. President Victor Yushchenko of Ukraine recently signed an order instituting the Day to Commemorate the Victims of the Holodomor and Political Repressions, which was observed this year on Nov. 26. Now all that remains is for the Holodomor of the early 1930s to be recognized as an act of genocide against the Ukrainian nation. Among the researchers who are working to make this happen is the eminent Ukrainian historian and regular contributor to The Day, Stanislav KULCHYTSKY. Today’s feature concludes his series of articles on this subject. In order to reveal the causes of terror by famine, it should be analyzed within the context of the communist revolution that was carried out by the Bolsheviks. This “revolution from the top” drastically changed the usual forms of life in society. These changes provoked resistance, which in turn gave rise to repressions by the state. The communist revolution spanned two decades: from 1918 to 1938. Two periods of onslaught can be singled out in this revolution: the Leninist (1918-1920) and Stalinist (1929-1933). The Leninist onslaught targeted landowners and the bourgeoisie. In its elimination of landowners the Soviet government enjoyed the masses’ absolute support. This created the illusion of a continuous revolutionary process. After lengthy preparations Stalin resumed the communist onslaught. The nature and intensity of repressions during the Stalinist onslaught differed over the course of time and from region to region. Where resistance was strongest, Stalin used the most horrible form of repressions — terror by famine. The Holodomor was the result of such terror. None of the Bolshevik leaders intended to turn the country into a land of milk and honey. Their aim was to eliminate private ownership of the means of production and replace it with “common public” and “collective-farm and cooperative” forms of ownership, to use the language of propaganda. In reality, private ownership was to be replaced by Soviet state ownership. At the time this state had no adequate economic foundation commensurate with its size. It had deprived the people of political freedom, but failed to subjugate them economically. During the Civil War the Communist Party broke the landowners’ resistance, but the property that was confiscated from the bourgeoisie and landowners was used in different ways. The Bolshevik leaders denounced attempts by workers’ collectives to privatize enterprises as “anarcho-syndicalism.” Factories and plants were proclaimed the peoples’ property and came under state control. The state called the working class the “leader” of the revolution and gave it broad rights to manage production, the one thing it should be credited with. However, the state became the arbiter of working peoples’ destinies, and the working class remained the same old proletariat. The land was also proclaimed as the people’s. However, the peasants prevented the conversion of landowners’ estates into state enterprises and privatized them on an egalitarian basis. The Soviet government’s early socioeconomic transformations did not bring the peasantry any closer to the “commune state”; in fact, quite the opposite. As long as the peasantry remained economically independent, the Kremlin leaders could not accomplish their goals. We cannot understand the causes of the government’s fanatical attempts to collectivize the peasantry unless we answer the question: What were the Kremlin’s long- term goals? In his “April Theses” Vladimir Lenin identified the creation of a “commune state” and the Communist International (Comintern) as his long-term goals. The bacchanalia of the “expropriation of expropriators” began after the Bolsheviks seized power, but they established a very strict system of accounting for seized valuables: gold, diamonds, and currency. Then Lenin’s emissaries spread out across Europe with suitcases stuffed with this wealth to establish local networks of the Comintern. After World War I, Europe underwent large-scale demobilization. In the meantime, the war continued in Soviet Russia, and the strength of the Red Army continued to grow, reaching five million soldiers in 1920. The Bolsheviks felt that it was time to enter Europe. “We must probe with our bayonets: perhaps a social revolution of the proletariat is already ripe in Poland?” Lenin wrote. After unsuccessful attempts to establish Soviet power in Hungary, Germany, and Poland, the party leaders realized that a lengthy period of peaceful development lay ahead. They had to build industry that would be on a par with the industries of the major European countries in order to replace the primitive bayonet with tanks and planes. In 1920 Lenin initiated the development and consolidation of a state plan to electrify Russia (GOELRO Plan), i.e., to rebuild and build industry and transport, which depended on electricity. The GOELRO Plan failed for lack of funds, but soon Stalin’s Five-Year Plans were developed, requiring even greater resources. The 14th Congress of the All- Union Communist Party (Bolshevik) in December 1925 endorsed an industrialization policy for the country. This immediately created the problem of securing funds for capital construction. The “all-Union elder” Mikhail Kalinin stated emphatically: we must sacrifice the last shirt to build the Dnipro Hydroelectric Power Plant. The plan was to take the “last shirt” off the peasants. The state could not force peasant owners to sell grain at below-market prices, which is why it adopted a policy to exterminate this category of producers. Turning them into collective farmers would resolve this problem. Collective farmers, much like industrial workers, had nothing to do with selling the products of their labors. The pace of capital construction in industry matched available resources only in the first year of industrialization. From then on its volumes were increased by way of cash infusions unsupported by goods. This tipped the fragile market balance that had been secured during the reconstruction period. In a country where the “command heights” of the economy were controlled by the state, prices remained more or less stable. The market imbalance was manifested in the form of commodity shortages. With demand outpacing supply, industrial goods sold out immediately. The government’s attempts to restrain inflationary price hikes in agriculture forced peasants to refuse to supply their products to the market. Soviet historiography referred to these phenomena as the “NEP crisis.” Allegedly, the New Economic Policy had exhausted all of its potential, and the government naturally moved toward the industrialization policy and the concomitant total collectivization of agriculture. In fact, the “NEP crisis,” which was mostly manifested as a grain procurement crisis, was the result of a mistaken policy of the country’s leaders, who had chosen forced industrialization as their overriding policy goal. Grain shortages helped Communist Party committees to prepare public support for the planned pogrom against peasant owners. In his Nov. 7, 1929, article entitled “The Year of the Great Turning Point,” Stalin claimed that peasants were joining collective farms “in entire villages, volosts [several village communities — Ed. ], raions, and even districts.” It was a bluff, but it served its purpose. Local leaders were under the impression that they were falling behind their neighbors, for their percentage of collective farms was pitiful. This article preceded the plenum of the CC AUCP(b), which officially broached the question of implementing total collectivization. The plenum recommended implementing a policy of “the elimination of wealthy kurkul peasants as a class” in areas of total collectivization. To prevent resistance to total collectivization, Chekist agents were instructed to divide kurkuls, wealthy peasants, into three categories: the active body of kurkuls, who were subject to imprisonment in concentration camps or immediate physical elimination; other elements of the active body of kurkuls, who were subject to deportation to remote areas; and the remaining kurkuls, who had most of their production facilities confiscated and were allowed to settle outside the territory of collective farms. The number of liquidated kurkul households in all three categories was supposed to amount to between 3 and 5 percent of the total number of households. The Kremlin arbiters of the peasants’ destiny thought that they could implement collectivization entirely according to plan. It was a plan on the scale of the 1919 program to create a “commune state.” The dekulakization campaign deprived the peasants of the will to resist, forcing them to join the “collective farm movement.” In this case the authors of total collectivization were absolutely correct in their calculations. Why then in the early months of 1930 did the party and state leaders suddenly feel that the Soviet government was on the verge of collapse? While the dekulakization lists were being compiled, every peasant was willing to submit an application to join a collective farm in order to save his own farm. When it turned out that they were required to part with even the last cow and even small farm animals and poultry, peasants began to resist desperately. Armed insurgencies were infrequent because the secret police had made sure to confiscate all the weapons that remained in villages since the war. Despite their disorganized and spontaneous nature, however, revolts against the government were becoming increasingly more dangerous. On Feb. 26, 1930, the CC AUCP(b) received a panicky telegram from Kharkiv, sent by Panas Liubchenko and Hryhorii Petrovsky. The two Ukrainian leaders reported mass civil unrest in the Pluzhniansk border raion. In the following days, similar reports trickled in from other regions, but Stalin was especially concerned about the situation in the Ukrainian-Polish frontier areas. According to the minutes of the March 5 Politburo meeting, on Feb. 28 the Politburo voted to approve amendments to the Exemplary Charter of an agricultural cooperative (artel). The newly-worded charter was to be published in newspapers on March 2, followed by an explanatory article from Stalin. The commune was replaced by a peasants’ artel — “a two-faced Janus.” One of its faces was turned to the economy, which operated according to an administrative command plan, while its other face was turned to the market economy, i.e., live production that existed because of the producer’s natural motivation. The artel form of the collective farm necessitated the formation of a free market in which prices were formed according to the law of supply and demand. It necessitated the existence of goods-for-money exchange, notably not only in the limited sector of agricultural production but in the whole economy. Initially, membership in an artel was considered temporary. The resolution of the 16th Congress of the AUCP(b) convened in June-July 1930 underscored that at this stage the main form of a collective farm is an agricultural artel. But the document also expressed the assumption that the “collective farm movement can rise to a higher form — a commune — in line with the rising level of technical facilities, increasing collective farm membership, and the rising cultural level of collective farmers.” However, Stalin no longer dared attempt to encroach on a peasant’s cow or garden plot. The market economy visage of the collective farm system softened the disproportions of the Soviet economy, which were inherent in administrative regulation. It signaled to the managers of the planned economy when and where they should adopt measures to avoid difficulties with the sale of products, conversion of wages into goods, etc. Alongside free choice of employment, which the working class received without any efforts on its part, in 1930 peasants secured for themselves a garden plot with a cow and small farm animals. These two elements, which are alien to the communist economy, enabled it to function for a long time. It was always ineffective, but it enabled the Kremlin to exploit the colossal mobilization resource that this economy possessed by virtue of its nature. Soviet historiography recognized the fact that the collective farm system experienced a crisis in 1930- 1932, along with “food supply complications” that it caused. It was believed that the crisis was the result of the farmers’ inability to work collectively. In time, things purportedly returned to normal; the party and government carried out the organizational-economic strengthening of collective farms, and the collective farm system emerged from the crisis. In 1929 an unprecedented economic crisis engulfed the world, which came to be known as the Great Depression. In these conditions prices for industrial equipment dropped. Soviet foreign trade organizations happily bought everything at low prices and on preferential payment terms, paying in foreign currency. It turned out, however, that prices for agricultural products dropped even further. Nobody was issuing long-term loans, and to earn foreign currency the Soviet government had to sell more grain. Delayed exports of grain spelled big trouble. In order to find currency for yet another payment on its bonds, the Soviet government auctioned off museum treasures. In the meantime, the volume of grain procurements shrank substantially. Peasants only pretended to work in collective farm fields because they were paid almost nothing for their products. The Kremlin offered a political assessment of such unscrupulous behavior, condemning it as kurkul sabotage. With each passing year grain requisitions were becoming more and more severe. In the fall of 1932 Stalin established extraordinary procurement commissions in the major grain-growing regions. The commission in Ukraine was chaired by Viacheslav Molotov, head of the USSR Council of People’s Commissars (Radnarkom). The commission in the Northern Caucasus was chaired by Lazar Kaganovich, secretary of the CC AUCP(b). The commission in the Volga region was headed by Pavel Postyshev, secretary of the CC AUCP(b). Their work resulted in famine in all three regions. The truth is not on the side of Merl and Kondrashyn, nor is it on the side of scholars who refute their allegations. Polemics in the field chosen by Conquest’s opponents will necessarily lead them to a dead end. The very phrasing of the question is incorrect. Let us consult available statistics. Mortality statistics in the USSR were broken down by nation; separately for urban and rural residents. It should be kept in mind that, first of all, vital statistics departments recorded no more than one-half of all deaths in Ukraine in 1933; second, deaths as a result of starvation are not singled out in these statistics. The statistics indicate an abnormally high death rate in the countryside and an identical mortality rate in the countryside for all national groups, if you compare the number of deaths with the number of all village residents in any given group. This means that the criterion according to which people died in Ukraine was their place of residence and not their nationality. The famine affected the countryside and the peasants as a social group. A comparison of official mortality statistics by region creates a different picture. In 1933 the death rate exceeded the birth rate in seven regions in the European part of the USSR. The excess of deaths over births was most pronounced in regions where extraordinary grain procurement commissions were established: the Ukrainian SSR (1,459,000), the Northern Caucasus Territory (291,000), and two territories in the Volga region (178,000). In Central-Chernozem oblast the number of deaths exceeded the number of births by 62,000; this figure was 35,000 for Ural oblast and 5,000 for the Northern Territory. In the grain-consuming regions, excessive death rates were observed in cities where people were deprived of ration cards for state food relief. We cannot compare Ukraine and the Northern Caucasus Territory. Among the territory’s six districts, the hardest hit by famine was the Kuban district, two-thirds of whose population was Ukrainian (according to the 1926 census). The other districts suffered much less, which is why the total death rate for the whole territory does not appear to be as horrible as the death rate for Ukraine. Ukraine can be compared with the Volga region, but not only according to official 1933 statistics, which do not reflect the full picture of the mortality rate, but according to calculations of direct losses from the famine, based on the analysis of the 1926 and 1937 censuses and the demographic statistics for the inter-census period. Ukraine and the Volga region cannot be compared in terms of population size, but they are comparable in terms of their territory. Before 1939 Ukraine’s territory was 450,000 square kilometers versus the Volga region’s 435,000 square kilometers. Kondrashyn estimated that famine claimed 366,000 lives in the Volga region. According to my calculations, the direct losses from the famine in Ukraine were 3,238,000 persons, i.e., higher by an order of magnitude. Thus, the Holodomor affected primarily Ukrainians, and more specifically — Ukrainian peasants in Ukraine and Russia. This more precise definition is necessary, and we should not argue with Stefan Merl or Viktor Kondrashyn on the terms that they impose on us. We will never prove to the grandchildren of those Ukrainian citizens who starved to death, let alone to the international community, that people died in 1933 in the USSR as a result of their national affiliation, i.e., in the same way that Armenians died in the Ottoman Empire in 1915, or Jews in the European countries that were occupied by Hitler’s Reich. And there is no need to prove this, because the mechanism of the Soviet genocide was different. The terror by famine that Stalin unleashed on Ukraine and the Kuban was an act of genocide against Ukrainian citizens, not Ukrainians. To understand why Stalin was afraid that he would “lose Ukraine,” we must examine the essence of Ukrainian citizenship and national Soviet statehood, albeit not the statehood as it is remembered by contemporary generations, but the statehood as it was before the Holodomor. In the above-mentioned letter, Stalin informed Kaganovich that he wanted to make him secretary general of the CC CP(b)U in place of Stanislav Kosior. Kaganovich had occupied this post earlier, in 1925-1928, so he replied obediently: “Of course, it would be easier for me to get down to business immediately, because I know the country, its economy, and the people.” Unlike us, Kaganovich called Ukraine a country. Everyone who survived 1933 and 1937, and even more so all those who were born later, referred to the Soviet Union as “the country.” They grew accustomed to calling Ukraine a republic. Earlier we concluded that the symbiosis of the Communist Party dictatorship and power of the Soviet organs enabled the Kremlin to package the totalitarian regime as a “government by the people.” Now it must be pointed out that the dual nature of Soviet statehood made it possible to present the strictly centralized “commune state” in the misleading guise of a country without a name, which was made up of nine outwardly independent Soviet states. In this way the national-liberation movement of oppressed nations was undermined from within. After the Civil War, the Bolshevik leaders came up with the idea to turn the “independent” states into autonomous republics of the Russian Federation. However, the leader of Soviet Ukraine, Khristian Rakovsky, protested. Lenin called him an “independentist” in a friendly manner, but took into account the feelings of peripheral Communist Party and Soviet leaders who wanted to retain their powers. So he proposed adding another level to the Soviet federation. All the “independent” national states were to enter on an equal basis with Russia a new state formation — the Soviet Union. Citizens in each union republic were given the constitutional right to secede from the USSR. The only thing holding the “commune state together” was the dictatorship of the Communist Party. It was up to the party to make sure that citizens in the Union republics did not have any dangerous wishes. Immediately after the USSR was established, the Kremlin chose indigenization (literally, “enrooting”) as the main line of its national policy. Its Ukrainian variant was called Ukrainization. The purpose of this policy was to implant Soviet power. But there was a side effect of this policy. Ukrainians started to hear their previously persecuted native language in schools and cultural institutions. A national revival began in Ukraine. The economic and human potential of the Ukrainian SSR matched that of all the remaining national republics taken together. For this reason it received special attention from competing political figures within the Politburo of the CC AUCP(b). Stalin became Ukraine’s “best friend” after he managed to install his ally Kaganovich in the top post in this republic. 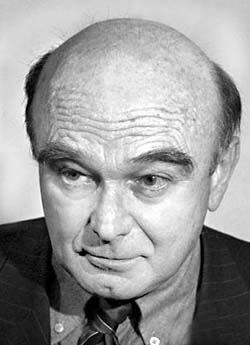 With the support of Kaganovich and Stalin, People’s Commissar for Education Mykola Skrypnyk squeezed the utmost out of the indigenization policy. In 1927 he stated publicly that the Ukrainian SSR “is a Piedmont for the whole Ukrainian nation inhabiting the entire ethnographic territory of Ukraine.” He did not mean only the Western Ukrainian lands then occupied by other countries. The 1926 census showed that nearly eight million Ukrainians resided in the Russian Federation. While Stalin was engaged in the struggle for power, he ignored such statements. However, two decrees of the CC AUCP(b) and the Radnarkom of the USSR, dated Dec. 14 and 15, 1932, respectively, proclaimed Ukrainization outside the Ukrainian SSR as “Petliurite.” In the Northern Caucasus, where Ukrainization encompassed nearly one-half of all raions, all institutions, schools, and the press immediately switched to the Russian language as being “more understandable” to the population. Kuban residents and Ukrainians in other districts of the territory were ordered to consider themselves Russian. According to the All-Union Census of 1939, 86.8 percent of the population of Krasnodar Territory was already registered as Russians. Only 150,000 citizens, or 4.7 percent, who arrived there in the 1930s, dared admit to being Ukrainian. On the one hand, Soviet national statehood was a major propaganda achievement for the state party leaders. On the other hand, the Kremlin leaders did not trust even their own party in Ukraine (recall Stalin’s “ha- ha” in his letter to Kaganovich). The Kremlin had not forgotten that between 1917 and 1919 it had to conquer Ukraine three times. The Kremlin chiefs also remembered the single case of insurrection in the party’s nearly 100-year history, which was paralyzed since day one by the principle of “democratic centralism”: the 4th All-Ukrainian Party Conference in the spring of 1920 voted down the list of CC CP(b)U members proposed by Lenin and elected its own preferred leaders. In order to prevent such a turn of events, Stalin turned Ukraine into the epicenter of repressions for a long period of time. “Without a peasant army there cannot be a strong national movement,” Stalin wrote with confidence in 1925. One can quite agree with this statement if one analyzes the Ukrainian revolution of 1917-1920. However, the total collectivization of peasant households undermined the basis of the liberation movement in all the national republics, while the terror by famine that was used against the Ukrainian SSR and the Kuban eliminated the potential threat to the Kremlin from the most powerful republic. After taking care of the peasant question, which Stalin considered the national question, the dictator immediately turned his attention to the Ukrainian intelligentsia, both in the Communist Party and outside it. On his orders, in November 1933 the joint plenum of the Central Committee and the Central Controlling Commission of the CP(b)U endorsed a thesis about nationalist deviations as the main danger within the party and the state. The 17th AUCP(b) Congress in January 1934 supported and expanded on this thesis. The most large-scale extermination of the Ukrainian intelligentsia began after the suicide in July 1933 of the hounded Mykola Skrypnyk. Under the banner of the fight against “Skrypnykivshchyna” the membership of the CP(b)U was axed by 110,000 persons during 1933. In 1932-1938, the years of horror for Ukraine, most Ukrainian cultural figures, including representatives of the new generation of worker and peasant backgrounds, ended up in concentration camps and prisons. The secret police targeted virtually anyone who had participated in the Ukrainian revolution of 1917-1920. At the same time, Stalin launched purges in his own creation in Ukraine. Of the 62 members of the CC CP(b)U who were elected by the 13th Congress in June 1937, 56 were accused of hostile activities. Out of 11 Politburo CC CP(b)U members, 10 were subjected to repressions. Countless facts prove that Simon is correct. But when we approach the problem from this angle, we should not speculate on the nationality of those who issued and fulfilled the orders that resulted in the genocide. Unfortunately, extreme nationalists never miss an opportunity to cast aspersions on those nations to which they have a negative attitude. The Georgian Stalin, the Jew Kaganovich, the Russian Molotov, or the Pole Kosior — none of these individuals place any burden of guilt on their respective nations. The infernal political regime created by Lenin was international in nature. 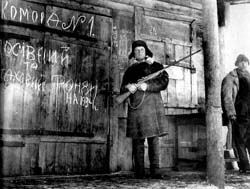 The peasants’ unwillingness to work without pay in the collective farm fields was described as “kurkul sabotage.” The unwillingness of Communist Party and Soviet officials to extort bread from famished peasants was viewed as “treason.” In his Dec. 13, 1932, directive to local party organizations, Kosior proposed that they immediately raise the question of depriving “traitors” of their party cards, deporting them to the north, imprisoning them for long periods, or executing them by firing squad. Kosior’s directive was a response to local leaders’ attitudes toward the instructions from the extraordinary grain procurement commissions: Molotov’s in Ukraine and Kaganovich’s in the Kuban. The instructions were dictated by Stalin and boiled down to terror by famine. On Nov. 2-4 the bureau of the Northern Caucasus Territorial Committee of the AUCP(b) considered the question “On the Course of Grain Procurements and Sowing in the Raions of the Kuban.” Ten Kuban raions were placed on a “blacklist”: within a short period of time all of their grain and almost all foodstuffs were confiscated. Molotov pressured the CC CP(b)U and the Radnarkom of the Ukrainian SSR into adopting decrees, on Nov. 18 and 20, respectively, both of which were almost identical in terms of their content and had identical titles: “On Measures to Intensify Grain Procurements.” The main point of the Ukrainian and Kuban decrees was the introduction of fines in kind. Collective farms, collective farmers, and independent farmers who owed grain to the state were given additional tasks to supply a 15-month quota of meat and a one- or two-year quota of potatoes. Stalin made his position known after these decrees were endorsed. Addressing the Nov. 27 joint session of the CC Politburo and Presidium of the Central Controlling Committee of the AUCP(b), he stated that Ukraine and the Kuban are concealing grain in pits and sabotaging grain procurements, thereby threatening the working class with famine. The horrible meaning of this New Year’s telegram becomes clear only when it is studied analytically. The first item was a warning: hand over grain, or else. The nature of repressions was not defined. The second item becomes clear when it is compared to the first one. It was addressed to those peasants who ignored the warning. But such peasants had to be identified. In what way? There was no other method except searches. Thus, Stalin’s telegram was a warning about mass searches. Grain might or might not be found during searches. In the first case, peasants would be subjected to repressions under the law of Aug. 7, 1932. It was not revealed what action was to be taken in the second case. However, as of November 1932 fines in kind were imposed on everyone in whose possession no grain was found during the search. Understandably, the peasants concluded that where no grain was found, other durable foodstuffs would be confiscated. For lack of space I cannot paint a full picture of searches, based on the recollections of famine survivors. I will point out the most important thing: they seized not only grain, meat, lard, and potatoes, as envisioned by party and government decrees. They also confiscated beets, peas, beans, millet, onions, dried fruit, and anything else that the peasants had preserved to last them until the next harvest. Searches in each village were conducted by members of poor peasants’ committees led by grain procurement officials, secret police officers, and policemen. We cannot blame them, for they wanted to eat, just as we cannot blame the peasants subjected to searches, who later ate their children or parents. The state grain procurement campaign after the 1932 harvest began in July. One hundred thirty-six million poods [2,229,040 tons] of grain were stockpiled by the end of October. Over the next three months Molotov’s commission “procured” another 87 million poods [1,425,930 tons] of grain. What was the percentage of grain seized during searches? There is one reference: between Dec. 1 and Jan. 25 the GPU and NKVD organs discovered 14,956 pits and 1,980 other caches and confiscated 1.7 million poods [27,863 tons] of grain. The editors of Pravda organized a 10-day campaign against grain thieves. The raid that lasted from Aug. 7 to 17, 1932, involved some 100,000 “shock workers of the press.” Pravda’s correspondent in Dnipropetrovsk oblast appealed to his readers: Look for them; after all, there is an underground “grain city!” The searchers did not find anything at the time, and the house-to-house searches in December and January produced a paltry amount of grain (it should be added that this 1.7 million poods of grain also included grain confiscated from grain dealers). Under the guise of a legend about underground “grain cities,” a hideous campaign to seize grain and all non-grain foodstuffs, which had nothing to do with grain procurements, was carried out in Ukrainian and Kuban villages. Do these statements correspond to the truth? Absolutely! The purpose of Stalin’s terror was to educate people by murdering them. This was repeatedly proven by the hectic activity of Postyshev, whom Stalin appointed as second secretary of the CC CP(b)U. In late 1933 he came to Kharkiv while retaining his position as secretary of the CC AUCP(b). Stalin gave him two main instructions: first, stop “Skrypnykivshchyna,” and, second, save the peasants who could still join the sowing campaign. As of Feb. 1, grain requisitions were officially halted in Ukraine. The republic began receiving loans in the form of food and seeds. Now the state was giving food to those peasants who could work. On Jan. 22, 1933, Stalin and Molotov sent a secret directive ordering the adoption of measures to prevent a mass exodus of peasants to other regions. All roads out of Ukraine and the Northern Caucasus Territory, including dirt roads, were closed by the GPU organs, police, and local activists of poor peasants’ committees. The starving peasants were condemned to die a slow death in their villages, with the exception of those whom the state had begun to feed in the fields during the sowing campaign. Could a single decree bring about radical changes in the economic situation? It could, and there is an example to prove it: the resolution of the 10th Congress of the Russian Communist Party (Bolshevik) on the transition from food requisitions to a food tax. With its decree of Jan. 19, 1933, the state recognized that products grown on collective farms belonged to the peasants. It recognized that the state was to receive only part of the value of these products in the form of a tax. Collective farmers had to be informed about the tax before the start of the agricultural year. All the remaining products belonged to the peasants and could be used at their discretion. For the first time this sparked interest in the results of collective farming.